In 1996 GarageFloorCoating.com (GFC) developed and perfected an innovative coating process, which has set the industry standard. 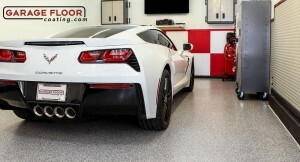 This innovative technique remains the benchmark of the garage floor coating industry and has raised the bar to a new level by which all other garage floor coatings are measured. In our organization, every single employee takes great pride in the execution of high quality work each and every day. From our receptionists, to our sales and installations teams, everyone is courteous and very knowledgeable about our products and services. You will not find a better group of employees dedicated to making the garage floor coating and process a great experience. Because GFC is a family-run business, our clients and associates are important to us and are often regarded as an extension of our family. Therefore, relationships are important to us. Over the years, we have developed some great relationships with other companies and have been allowed the benefit of special discounts and pricing due to our association. We would like to pass these benefits on to you. Call today and ask what great deals you can get with our partners through GFC.